If you are looking to have an awesome time, make life long friends, having experiences you will never forget, and possibly drink a bit too much, we are for you.We have a very community vibe here and all of our guest usually hang out together doing tours during the day and meet up at our AWESOME bar to go out at night. We are a brand new hostel that is focused on giving you an all around awesome experience. 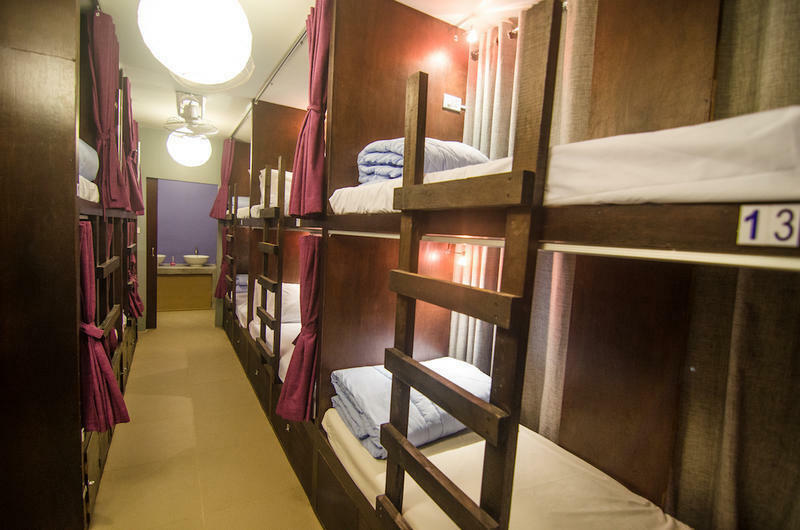 Our dorms are mixed with bunk beds and Japanese pod beds, which were all custom made and designed by us. Our private rooms are comfy and simple the ones on the the 3rd floor offer an amazing view of the mountains. We are about a 15 minute walk from Aonang beach. We run our own tours that are personally guided by us and we do extremely fun stuff like deep water soloing, hiking, lunch on private beaches and so on. We also do pub crawls every night and you can always catch the premier league games and some killer music in the bar. You have access to laundry service and Wi-Fi so you stay clean and connected. You can feel free to contact our staff with any questions you may have. We all love meeting new people and cannot wait to meet you. Slumber Party Hostel is located on the curve of Hwy 4203 also known as Moo 2 Road. Itâ€™s a three-storey building just opposite the post office on the curve. 1. Taxi from Krabi Airport it will take about 30 mins and cost 600 baht. 2. Bus from Krabi Airport take about one hour and cost 150 baht.